Commercially available supercapacitors store energy in two closely spaced layers with opposing charges and offer fast charge/discharge rates and the ability to sustain millions of cycles. Researchers have come up with various electrode materials to improve the performance of supercapacitors, focussing mostly on porous carbon due to its high surface areas, tunable structures, good conductivities, and low cost. Researchers at KAUST now have developed novel supercapacitor electrodes with remarkable pseudocapacitance. 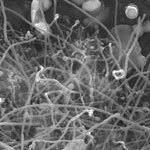 They used a scheme of current collector dependent self-organization of mesoporous cobalt oxide nanowires has been used to create unique supercapacitor electrodes, with each nanowire making direct contact with the current collector. Single-walled carbon nanotubes arguably are the ultimate biosensor among nanoscale semiconducting materials due to their high surface-to-volume ratio and unique electronic structure. After more than a decade of excitement though, more and more researchers in the nanotube field believe that pristine SWCNTs are very limited as a sensing material. Ironically the ultrahigh sensitivity of SWCNTs is easily compromised by various unintentional contaminants from the device fabrication process as well as the ambient environment. 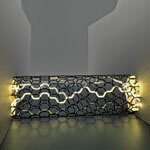 As a result, significant efforts have been focused on all kinds of ways to functionalize or decorate nanotubes with other species in order to improve their sensitivity. Researchers have now shown that applying continuous in situ ultraviolet light illumination during gas detection can enhance a SWCNT-sensor's performance by orders of magnitude under otherwise identical sensing conditions. Of all the methods that have been developed to produce carbon nanotubes (CNTs), including arc discharge, laser ablation, and chemical vapor deposition (CVD), CVD is the most technically important and the most widely used in industry. 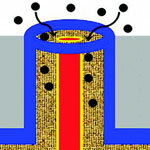 Using the CVD process, manufacturers can combine a metal catalyst such as iron or nickel with reaction gases such as hydrocarbon to form carbon nanotubes inside a high-temperature furnace. Semiconductor nanoparticles such as silicon carbide, germanium and silicon have also been used for single CNT catalysis. However, these catalyst materials are usually expensive and need to be of high purity in order to be useful for the growth of carbon nanotubes. 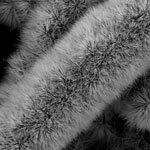 Researchers have now found that cheap and plentiful calcium silicate can absorb carbon species and grow multi-walled carbon nanotubes. Various types of nanostructures are used in the development of nanosensors: nanoparticles, nanotubes, nanorods, two-dimensional materials like graphene, embedded nanostructures, porous silicon, and self-assembled materials. For instance, gas sensors often operate by detecting the subtle changes that deposited gas molecules make in the way electricity moves through a surface layer. Researchers have fabricated gas sensors based on carbon nanotube-based field effect transistors, which can detect electrical potential changes around them. While these and related sensing schemes can be all-electronic - i.e., not requiring optical readout - they all require sophisticated nanolithographic techniques to isolate, identify, and integrate electrical contact to the active nanosensor. Researchers have now presented a nanoscale 3D architecture that can afford highly sensitive, room temperature, rapid response, and all-electronic chemical detection. If you are a blind computer user you have to rely on electronic Braille displays which typically allow you to see only one line at a time, no matter what you were doing. Such a Braille display is a tactile, electro-mechanical device for displaying Braille characters, consisting of a row of special 'soft' cells. 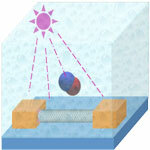 A soft cell has 6 or 8 pins made of metal or nylon; pins are controlled electronically to move up and down to display characters as they appear on the computer display. A number of cells are placed next to each other to form a soft or refreshable braille line. 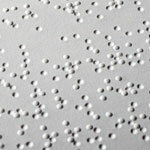 As the little pins of each cell pop up and down they form a line of braille text that can be read by touch. Researchers have now have fabricated a Braille sheet display by integrating organic thin-film transistor drivers, organic static random-access memory, and carbon nanotube-based actuators. Carbon nanotubes, like the nervous cells of our brain, are excellent electrical signal conductors and can form intimate mechanical contacts with cellular membranes, thereby establishing a functional link to neuronal structures. 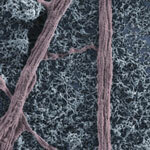 There is a growing body of research on using nanomaterials in neural engineering. Now, researchers have, for the first time, explored the impact of carbon nanotube scaffolds on multilayered neuronal networks. Up to now, all known effects of carbon nanotubes on neurons - namely their reported ability to potentiate neuronal signaling and synapses - have been described in bi-dimensional cultured networks where nanotube/neuron hybrids were developed on a monolayer of dissociated brain cells. Carbon nanotubes (CNTs) offer a number of advantages for delivering drugs to specific locations inside the body which suggest that they may provide an improved result over nanoparticles. They have a larger inner volume which allows more drug molecules to be encapsulated, and this volume is more easily accessible because the end caps can be easily removed, and they have distinct inner and outer surfaces for functionalization. Recent research has shown the ability of CNTs to carry a variety of molecules such as drugs, DNA, proteins, peptides, targeting ligands etc. 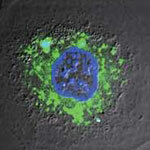 into cells - which makes them suitable candidates for targeted delivery applications. Researchers have now developed a unique two-dye labeling method to directly track the release process of a anti-cancer drug from carbon nanotube carriers in living cells.